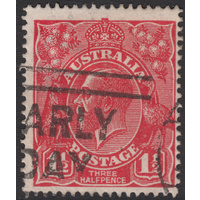 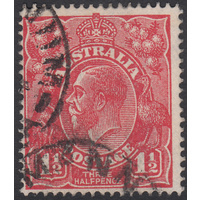 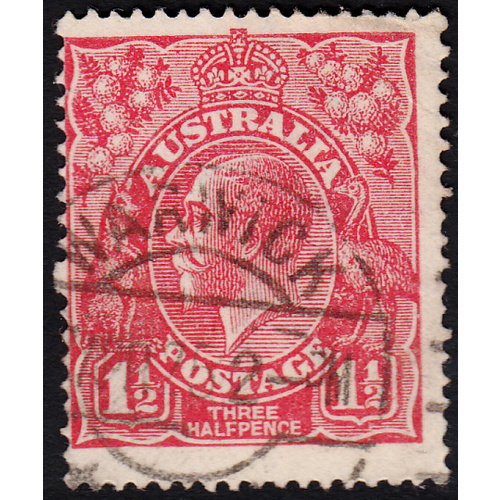 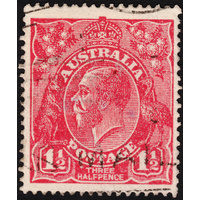 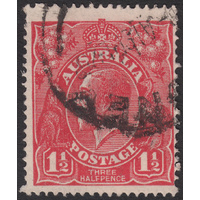 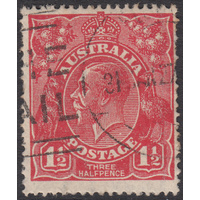 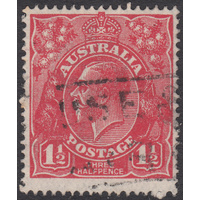 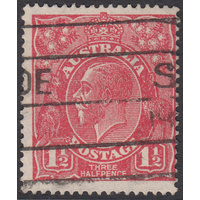 Australia KGV 1924, 1&1/2d Red, Single Watermark, variety 19R34 (Missing shading above I of AUSTRALIA, thickened white border above I of AUSTRALIA, distorted IA of AUSTRALIA, spot below Emu's beak) in Fine Used condition with some minor crumples and some roughening of the surface in the top right white margin. 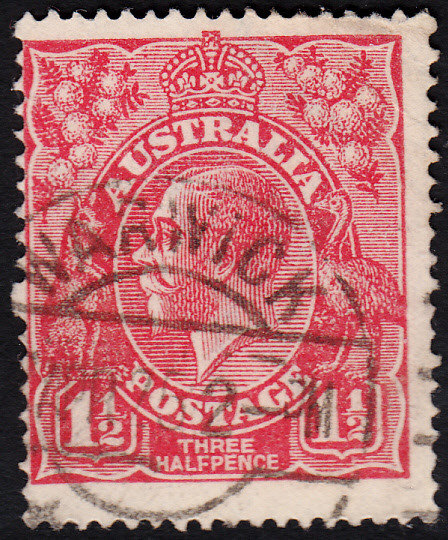 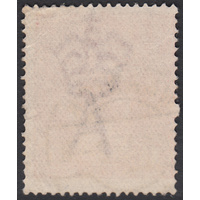 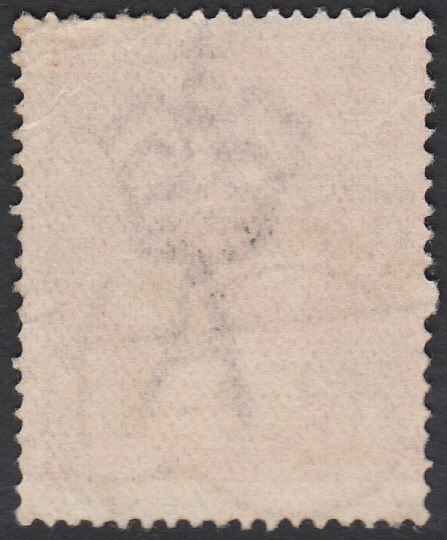 Centered left with a circular duplex cancellation (Warwick, QLD, April 1925) clear of the variety and other indicators. 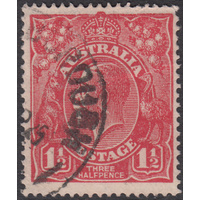 Varieties from Electro 19 are scarce.